2. 3 hours can help you close an additional 16 transactions per year! 3. Learn how successful Realtors control the conversation. 4. Real strategies you can immediately implement that will benefit your benefits. 5. Obtain the mindset you need to hit your potential. 1. All Realtors looking to boost their confidence and income. 2. All Realtors desiring to make more money selling real estate. 3. NEW or a Veteran to the business, we all need a little jump start sometimes. Not with Keller Williams? No problem! Our events are always open to agents from every real estate brokerage. We believe knowledge is power. The right training can take you from surviving to thriving! 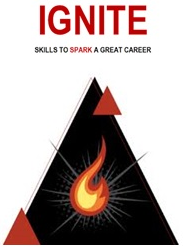 Light a fire your real estate career NOW with this action-focused, results-driven approach to lead generation, lead conversion and contract negotiations. Ignite is for any real estate agent who wants to close at least 16 transactions per year, leveraging the proven models and systems that power those of the most successful agents in the business. The Keller Williams Ignite course has a single objective: to propel both newly licensed and experienced Keller Williams real estate agents into immediate productivity. To achieve this goal, this real estate career training course contains a wealth of fundamental and foundational real estate content, enhanced by productivity-based exercises, an online tracking system, practical job aids and powerful real estate scripts.